Neeraj Kayal graduated from I.I.T. Kanpur in 2006; his advisor was Manindra Agrawal. His thesis focused on questions in algorithmic number theory and algorithmic algebra. 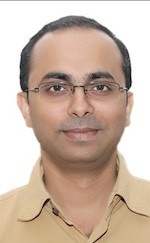 Since 2008, he has been with Microsoft Research India located in Bangalore. Chandan Saha received his Ph.D. from the Indian Institute of Technology Kanpur in 2010, where he was advised by Manindra Agrawal. 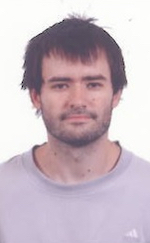 During 2010-2012, he was a postdoc in the Algorithms and Complexity group, headed by Kurt Mehlhorn, at MPII. 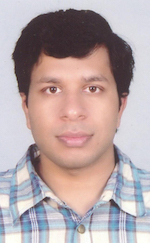 Chandan is interested in complexity theory, particularly arithmetic circuit complexity, and computational algebra. Sébastien Tavenas graduated from ENS Lyon in 2014; his advisors were Pascal Koiran and Natacha Portier. His thesis focused on the relations between arithmetic lower bounds and real algebraic geometry. After spending fifteen months as a postdoc in Bangalore where he started collaboration with the two other authors of this paper, he returned to France in 2016. Now, he lives in Chambéry in Savoie where he enjoys the proximity of the lake and especially the mountains.